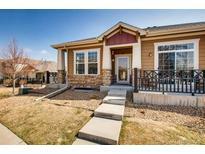 Find Broomfield, CO Foreclosures for sale. View Photos, Maps and MLS Data Now! Move in ready and quick possession. MLS#3284722. Distinct Real Estate LLC.